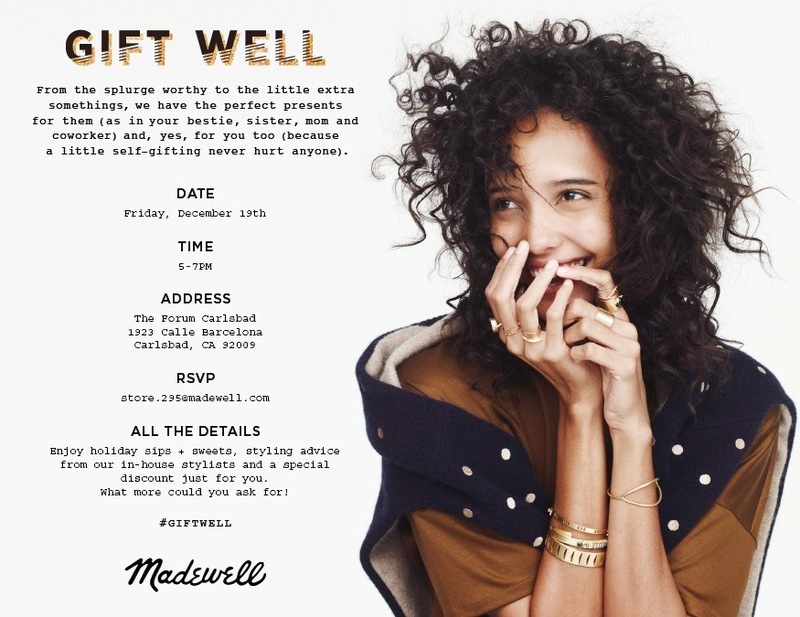 Madewell at The Forum Carlsbad is holding an event where shoppers can get gift ideas and styling advice from their in-house stylists. PLUS, you can get a special discount just for coming in that day. It will be a nice way to get your last minute holiday shopping in! When: Friday, December 19 from 5 p.m. to 7 p.m.